The concept of motherhood surely is both challenging and memorable to a woman. Somehow, this stage in the lives of ladies serve as the missing piece that can complete their existence as a woman. As much as it is an experience that most look forward to, it can also be considered tough for some people especially when it happens at a very young age. While motherhood alone is already tough in its own right, how much more if you become a grandmother at a young age of 23? 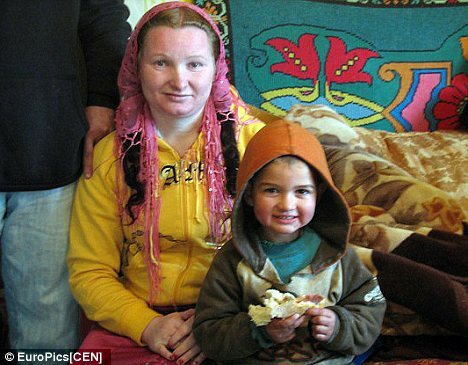 Rifca Stanescu, from the village of Investi, Romania gave birth to her daughter, Maria when she was only 12 years old. Despite her mother’s pleas to stay in school, Maria gave birth to son Ion at the age of 13. Born in 1985, Rifca defied her family’s wishes and ran away with jewellery seller Ionel Stanescu when she was 11 and he was 13. According to Goodtimes, she and her young lover decided to become married and conceive a child because they were afraid of being forced into an arranged marriage. Because her family opposed their union, her father had even gone so far as to attack the young man with a knife. However, they still pushed with their marriage and was able to be blessed with two children, Maria and Ion. As the saying, ‘the apple doesn’t fall too far from the tree’ proves true, Maria also followed the footsteps of her mother when she decided to also get married and became pregnant at the age of 11 which resulted to Rifca being the youngest grandmother ever at a young age of 23. 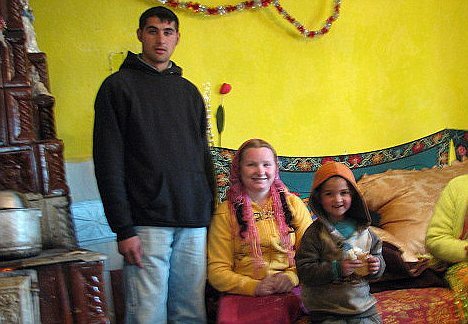 Surely, the gypsy culture may be strange to most of us but it really is happening. All that’s left for us to do is just be thankful that in our culture, we can still enjoy childhood as much as we can.